Beaconic Kits priced down and upgraded hardware including unlimited usage. Beaconic Kits priced down and upgraded with more hardware and unlimited software licenses. 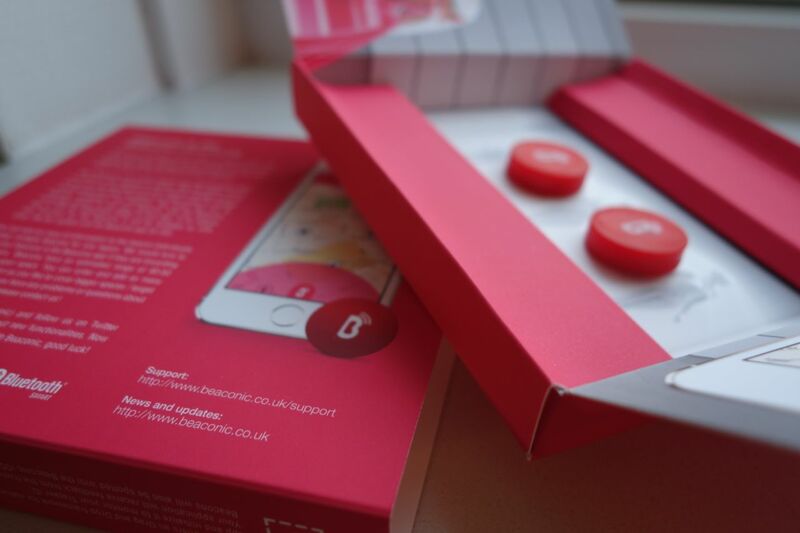 August 28, 2015 – Beaconic, the maker of the revolutionary iBeacon Retail Kit, has announced that due to the decrease in production costs it renewed the Kits available trough Beaconic. Beaconic first made headlines when they announced they were ready to make it easier for European retailers to implement iBeacon technology. Their iBeacon Retail Kit makes it easier for small business owners to set up with iBeacon and communicate with shoppers. Beaconic has been iBeacon licensed by Apple for its hardware / software since 7 months. They were featured on website as The Next Web, Gizmodo and MacLife Germany. All kits were priced down and or upgraded with more iBeacon Hardware. Also all iBeacon hardware will be shipped containing a new software. This enables the growing URI Beacon protocol from Google to be enabled on the hardware. Beaconic is now again one of the most complete and cheapest iBeacon licensed supplier in the Europe. Beaconic released their first app in the iTunes store on February 4, 2014. The app is quick and easy to setup, and it allows any size retailer to communicate with shoppers via micro-location technology. Retailers and users can now use the Beaconic Manager included with Retail and Premium Kits for unlimited period. The license based on 2 years of use has been changed to become a Fair-use policy unlimited license. All 4000 customers of Beaconic also get a FREE upgrade to the unlimited package. Beacons are in-stock and ready for purchase. A tremendous amount of retail kits have already been sold in Europe — with a high concentration being sold to local museums, resorts, hotels, and cinemas. Several companies are already starting their pilot test program on a global scale, working on reaching over 4000+ locations around the world. “We want to change the future of retail once and for all,” states a Beaconic representative. “We’ve seen a tremendous success with our retail kits already, and we’re already working on bigger and better beacon technology to take the retail future even further.” Right now retailers can enjoy features that include two years of support, drag and drop framework capabilities, and unlimited campaigns for managing their beacons.